Gone! 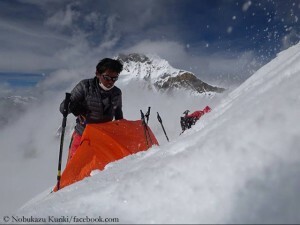 Japanese Nobukazu Kuriki has abandoned his summit attempt in the Everest North Face and descended to the bottom of the wall. He would return to the Advanced Base Camp (ABC) on Central Rongbuk Glacier to gather new strength for another attempt, weather permitting, the 34-year-old said by radio. 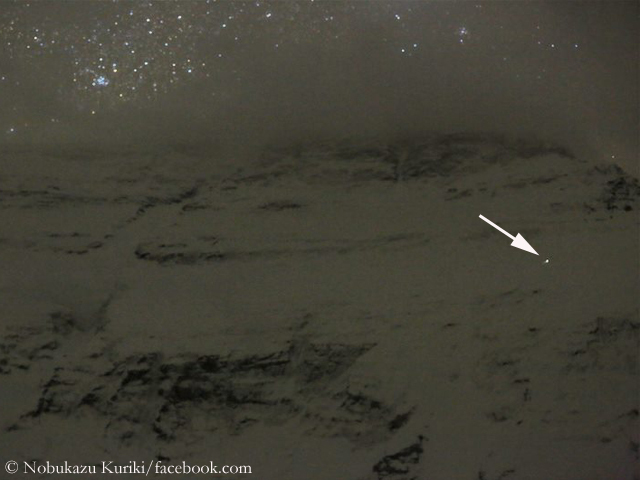 According to his own words, Kuriki decided to return after having reached an altitude of 7,400 meters during the night. “There was the feeling of wanting to continue. 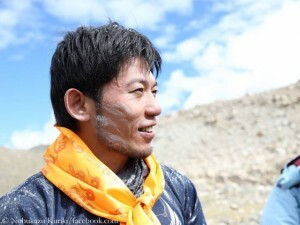 But judging the snow conditions and my physical condition, I decided to descend,” Nobukazu said. 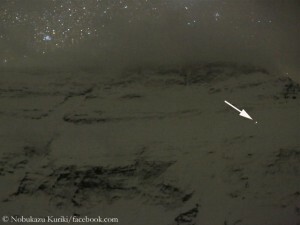 A picture on his Facebook page, taken from ABC, shows a light point clearly to the right of the planned route towards the Hornbein-Couloir. He is hell-bent. “I think the chance is there because the wind is weak”, Nobukazu Kuriki reported via Facebook from his Camp 3 at 6,800 meters in the North Face of Mount Everest. The Japanese wants to reach the summit solo and without bottled oxygen, in the upper part of the wall via the Hornbein Couloir. “The oxygen saturation of my blood is 81 percent and very stable,” the 34-year-old climber said and announced that he would continue to climb up still that Thursday evening (local time). If everything goes smoothly, he believes that he can possibly reach the summit on early Friday evening (local time). For Saturday, according to Kuriki, bad weather is expected.